No longer simply an FPS franchise, COD has become a its own cultural phenomenon. Its stories have spanned decades of historical and fictional conflicts, its multiplayer birthed a fiercely competitive eSports competition, and the mechanics underpinning its pitch-perfect weaponised combat have been refined, year on year, for decades. Now, Black Ops 4 takes a step into the relative unknown: battle royale. Blackout mode is the headline addition, blending the stratospherically popular formula of games such as PUBG and Fortnite with trademark Call of Duty gunplay and gadgetry. But there’s more under the hood: a return to Specialists in multiplayer, each with their own perks. And an all-new Zombies mode, taking place on three maps across three different historical settings. Let’s take a closer look at what’s in store. There’s a blend of old and new to multiplayer mode. The returning Specialist system sees six familiar faces from previous games - Ruin, Prophet, Battery, Seraph, Nomad, Firebreak - joined by four new characters Recon, Ajax, Torque, Crash. There are remakes of some fan-favourite maps, too: Jungle, Slums, Summit, Firing Range and Nuketown all make their return, the latter arriving just after launch. Automatic healing is out, in its place a similar system to COD WW2 that requires manual healing, while weapon behaviour’s been tweaked to provide predictable recoil behavior. While the traditional singleplayer mode is out, Solo Missions do allow for just that: stern challenges to be completed alone and which offer some backstory to the game’s specialists. Meanwhile in Zombies mode, traditionally the component in which COD lets its hair down and puts forward a more tongue-in-cheek proposition, goes bigger and stranger than ever. Its three launch maps are set on the RMS Titanic, a gladiatorial arena in Ancient Rome, and Alcatraz prison. In fact, that last map is another nod to COD past: it’s a soft-remake of Black Ops II’s ‘Mob of the Dead’ Zombies campaign. 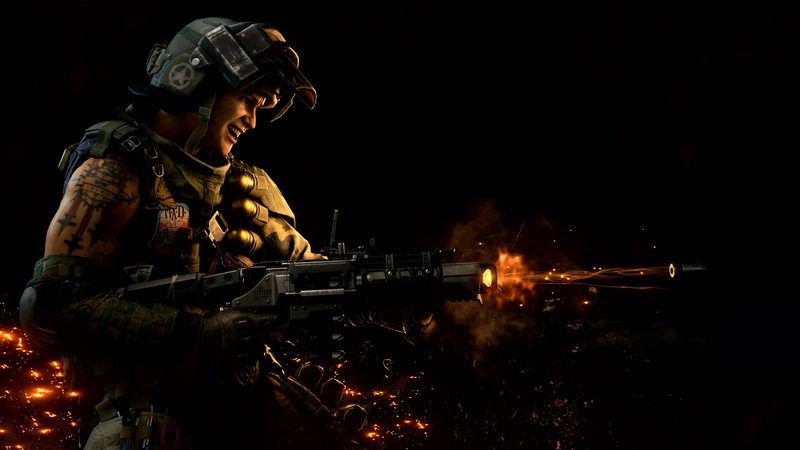 Finally, Blackout mode is where Black Ops 4 gets really ambitious, taking place over an enormous world map and setting up to 100 players against each other in squads of up to four. It’s here that the storied shooter franchise looks to fold in PUBG’s winning formula and meld it with the polished gunplay and futuristic tech which has become the franchise’s calling card in recent years. Special modes will modify rules and physics values, a la Fortnite, offering new ways to play. The game’s available from 12 October 2018, in-keeping with the series’ tradition for hitting a Q4 release window. In addition to the standard release which includes 1,100 Call Of Duty® Points, three special editions are available. 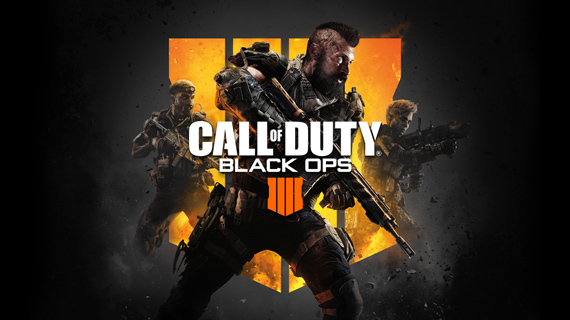 The Digital Deluxe Edition of Black Ops 4 includes a download code of the base game, the Black Ops Pass, Digital Deluxe Bonus items (Specialist Outfit, Specialist Weapon) , and 2,400 Call of Duty® Points. Then there’s the Digital Deluxe Enhanced Edition, which is largely the same as above but includes 8,500 Call of Duty® Points. Finally there’s the The Call of Duty®: Black Ops 4 Pro Edition. It contains a physical version of the game, the Black Ops Pass, a Black Ops 4 steelbook, a Black Ops 4 phone Pop Socket, 10 Specialist Patches, 3 Zombies mode-inspired collectible art cards, and 1,100 Call of Duty Points.